Recently, my sister and nephew came to visit us in LA. Since I haven’t been here that long, I wasn’t so sure about playing the role of tour guide. I knew a few places around the LA area that I wanted to take them, but several of the places they wanted to visit, I hadn’t been myself. It’s hard to know what’s worth the time if you haven’t been. What I did learn during our tour of LA, is that there are at least 3 things in Los Angeles that you do not need to see. (I’m working on a follow-up story). But there are also so many amazing things you must see. Here are a few of our highlights. We had three days to visit different places, so we took advantage of our time. The first day, we visited the California Science Center because my nephew really wanted to see the space shuttle. Our trip to the science museum was definitely worth our time. We loved it our time there. My kids (ages 5 and 6) really enjoyed the visit and my 13 year old nephew also liked it. I also witnessed a lot of adults-only visiting the museum, so it is clear that this museum works for all ages. The best part – the science museum is free! You do have to pay $12 to park, but the museum admission is free. The next day, we decided to visit the south bay of Los Angeles, where I live. We toured around Palos Verdes Estates, San Pedro, Redondo Beach, Hermosa Beach, and Manhattan Beach. Some of the highlights were seeing the Korean Friendship Bell. If you’re in the LA area, this is definitely worth the drive. The bell is really gorgeous, but it is closely matched by the amazing views of Long Beach and the South Bay. You can see so much of LA and Long Beach from up here It’s quite an amazing view and the bell is also stunning. My sister really wanted to visit the Griffith Observatory. Unfortunately, it was closed the day we were going to visit. Although the Griffith is beautiful and offers breathtaking views of the city, we found a place that has just as good of views. 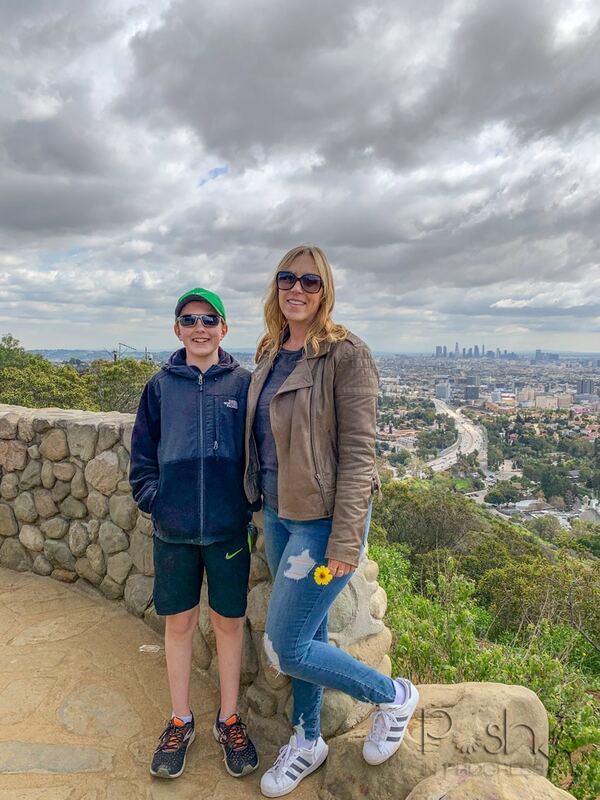 The Jerome C. Daniel Overlook offers really gorgeous city views AND views of the Hollywood sign too! You can get a complete 360 view of LA County, including the ocean, downtown and even the Hollywood sign. It offers such amazing views. Definitely, if you’re visiting LA, add this to your list. 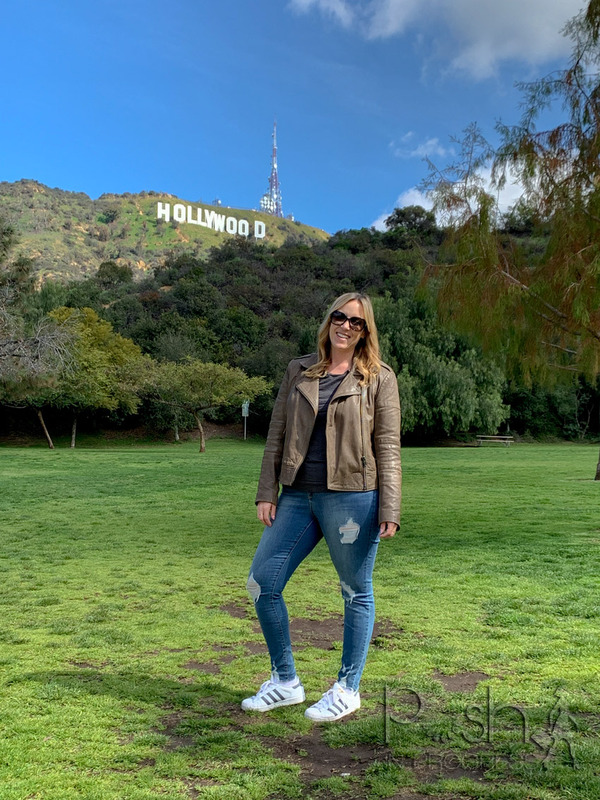 Another highlight of our time in the South Bay was checking out some of the amazing parks and view points in the Palos Verdes area. 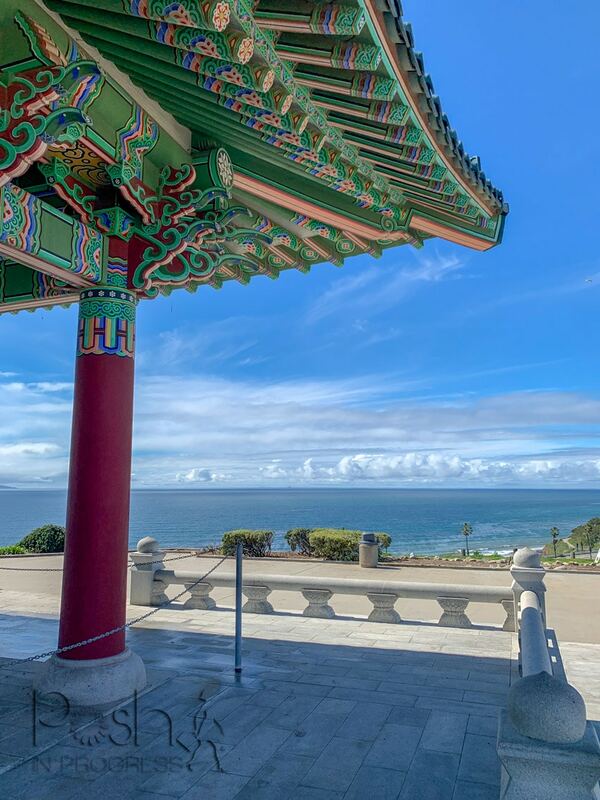 Some of my personal favorite look out points included the Palos Verdes Estates Shoreline Preserve, the Ocean Trails Reserve, and Abalone Cove Shoreline Park. All of the views from the different park of Palos Verdes are really amazing. The cliffs are gorgeous and you can see so much from these various look out points. I know I’ll go back to these areas a lot. The views are just breath taking and I find these areas so peaceful and restorative. We also spent a lot of time checking out the various beach communities in the south bay. Each beach community is very distinct, so we visited Redondo Beach, Hermosa Beach and Manhattan Beach. Each has a really unique vibe and all of the piers are distinct. 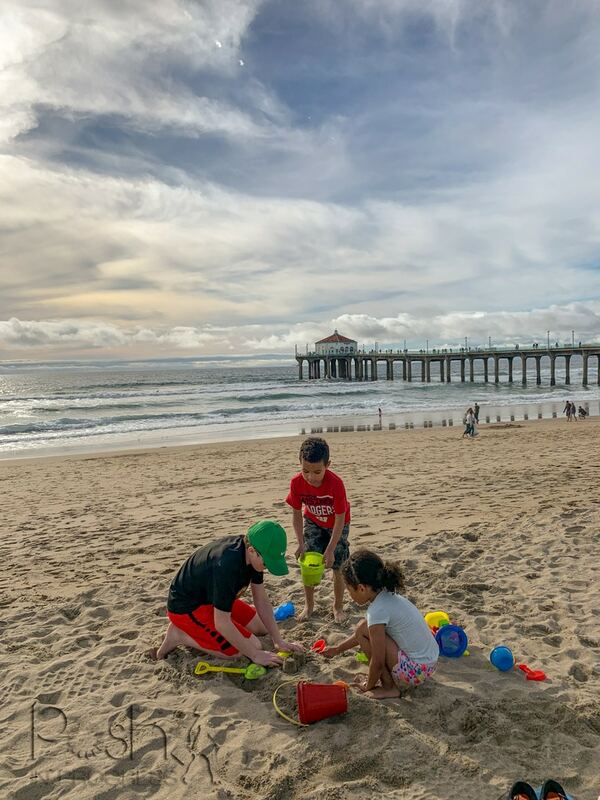 I personally love Hermosa Beach the best, but I do still spend a lot of time in the other two communities as well. You won’t be disappointed if you take the time to visit each beach town. All of them have great restaurants, shops, and, of course, gorgeous beaches. I know, you’re thinking, that’s awfully touristy. And it is. BUT, the seeing the Hollywood sign was totally worth it. It is just so iconically LA, and it was such a fun experience. The drive up to the sign is pretty cool and once you’re up there, seeing the sign was cool too. We ended up driving to Lake Hollywood park. We found street parking, and actually took the photos in the park. They turned out pretty cute and gave us a great view of the sign too. We had a few great days touring the city, and I got to see several things for the first time. Although we saw a lot of great things, we also saw some things that totally weren’t worth the effort. I’m currently working on another story to tell you the places I’d definitely not go out of my way to see again. Stay tuned! Thank you Stacey, we travel to California quite often and need some inspiration. We always go to Santa Barbara then head to Vegas, we usually stay in Rancho Cucamonga on the way but it would be nice to change it up, I feel like we are in a vacation rut. I have been researching different hotels to stay in, so I will put these points of interest ideas in my phone for reference for our next trip. I look forward to your next post of where not to go.